Nice one for this, thanks again ShonenGameZ! 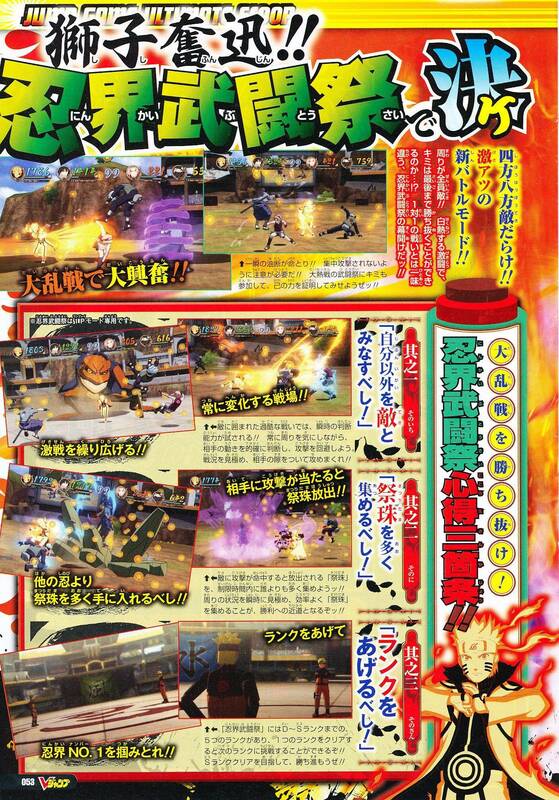 Keep up the good work with these scans. 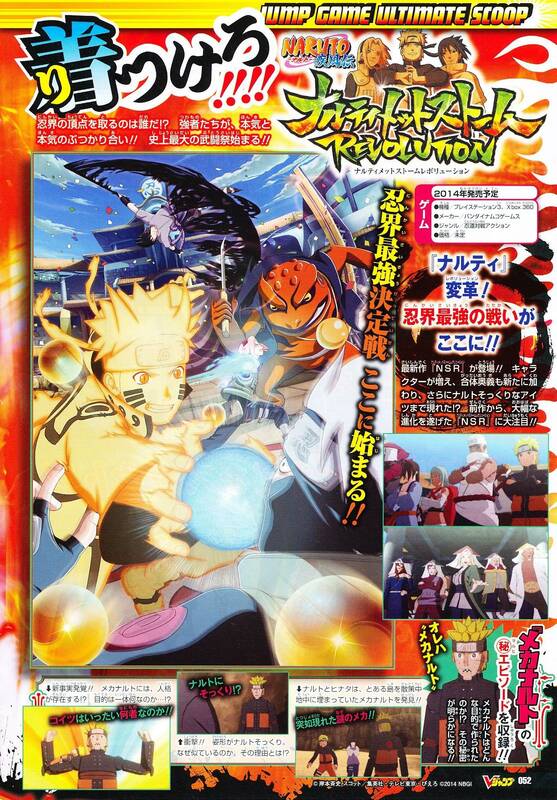 Can’t wait for the Translations, if you’re going to translate this VJump issue of Revolution. I hope that they let us go online with the tournament mode. Also im not sure if this is gonna be another Generations or not, but Im also hoping that they add a canon story mode so we’d have 3 different modes we can do to keep us busy. This isn’t new scan 🙁 we have see that already on the second trailer…i hope we take soon new scan. Yeah, we’ll be getting new things once J-Stars comes out. Bandai usually does this once a game is close to release. Im just hoping that if an unmasked Obito is added, he has a different moveset then War Tobi. No, these are all the previous scans they’ve been giving us. Just put onto two pages. Bandai wont be giving us too many scan or info until J-Stars comes out. Right now their top priority is advertising J-stars as of right now.